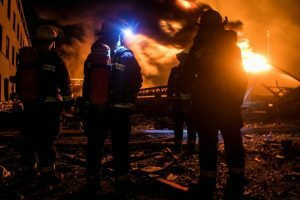 Civil protection authorities said an explosion inside an asphalt plant in northern Mexico had killed three workers and seriously injured three more. State Civil Protection Director Jorge Camacho Rincon said the blast occurred on March 10 in Abasolo, north of the city of Monterrey. Camacho said the explosion took place inside a reactor where asphalt is mixed with rubber. That blast in turn caused an asphalt tank to burst, killing three people standing nearby. While they had not yet determined the cause, Camacho said that the reactor had overheated. The case is now in the hands of state investigators from the Institute of Criminology and Civil Protection force.